RoundChillies is a brand focussed agency that connects different facets of digital marketing to create a Digital Branding Strategy for its partners to connect with their users and target customers. 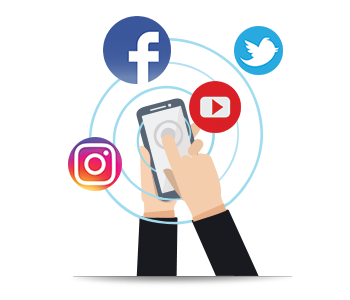 Since we understand the digital platforms, we enable users interact with their brands across multiple communication channels. We believe that our partners and customers are creating great business; we take that passion and mix it up with their brand to create game changing experiences. The word “brand” is one of the most unevenly understood words in the field of business. Even a street side vendor or an apparel shop round the corner proclaim themselves as “brands”. But the true story is that we cannot call every product or service or business a brand. A brand exists only in your consumers mind. And, you can be a brand. You might be in FMCG, Hospitality, Retail, Education, Fashion or Manufacturing, you can be a brand in your consumer’s mind. We are the brand masters of today. We help you create that long-lasting impression in your customer’s mind. If you have a story we will tell it to the right people. We will look into the fact that your story reaches to all your consumers. We will analyze your strengths, weaknesses, opportunities, and threats and create the digital strategy that will help you uplift your brand and create that long-lasting impact. It doesn’t matter if you are a startup, or a corporate giant, we can help you become a brand.